LORIMIER, CLAUDE-NICOLAS-GUILLAUME DE (known as Guillaume, Chevalier de Lorimier), militia officer, merchant, politician, and Indian Department official; b. 4 Sept. 1744 in Lachine (Que. ), eighth child and fourth son of Claude-Nicolas de Lorimier* de La Rivière and Marie-Louise Lepallieur de Laferté; d. 7 June 1825 in Caughnawaga (Kahnawake), Lower Canada. 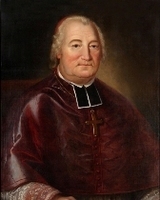 Claude-Nicolas-Guillaume de Lorimier boasted a prominent and prolific ancestry; born in a house once owned by the explorer René-Robert Cavelier* de La Salle, he was the third to bear his three Christian names. His father distinguished himself as an officer during the Seven Years’ War, and in the last days of the French régime he himself was commissioned a junior officer despite his youth. When Montreal surrendered on 8 Sept. 1760 Lorimier’s unit was near by on Île Sainte-Hélène. After the war Claude-Nicolas-Guillaume may have been employed, like several members of his family, as an interpreter in the British Indian Department. He was running a wood-yard, however, when the American revolution broke out in 1775. With the threat of an American invasion that summer, he volunteered his services to Governor Guy Carleton*. In his first assignment, to enlist Indian volunteers at Caughnawaga, Lorimier met initially with only moderate success. In July and August he scouted American movements around Fort Ticonderoga (near Ticonderoga, N.Y.). When Major-General Philip John Schuyler, succeeded by Brigadier-General Richard Montgomery, led an American expedition down the Richelieu valley in September, Lorimier, who that month fell under the command of Major John Campbell, was employed in the defence of Fort St Johns (Saint-Jean-sur-Richelieu). On one occasion he and his brother Jean-Claude-Chamilly were instrumental in preventing an American landing on the west bank of the Richelieu near the fort. However, the surrender on 18 October of Fort Chambly to the north made the position of the St Johns garrison untenable, and Lorimier was sent through the American lines to inform Carleton. His attempt to return with arrangements for the withdrawal of the defenders was thwarted when, betrayed by an Indian, he narrowly escaped capture in an ambush just outside the fort. On 30 October Lorimier participated in an attempt by Carleton to land a relief force for St Johns at Longueuil; it was unsuccessful and on 3 November the garrison surrendered. Lorimier remained in Montreal following the capture of the town by the Americans, but early in 1776 he ran foul of the commandant, Brigadier-General David Wooster, for urging militia officers not to surrender their British commissions. Ordered to prepare for departure to the American colonies, Lorimier was disguised and then spirited away in the dead of night by Louise Schuyler, a young Iroquois woman who had fallen in love with him. He went to Fort Oswegatchie (Ogdensburg, N.Y.), which was garrisoned by a company of the British 8th Foot under Captain George Forster. In the spring, after gathering Indians from the surrounding region and arranging with Pierre Denaut*, parish priest at Les Cèdres, Quebec, for the caching of provisions, Lorimier led the advance party of Indians on an expedition towards Montreal composed of some 600 men, including several hundred Indians, under Forster. On 19 May the American garrison at Les Cèdres, commanded by Major Isaac Butterfield, surrendered after minimal resistance when Forster threatened to loose Lorimier’s Indian force on it. Two days later Lorimier, himself received the surrender of Major Henry Sherburne, ambushed with his relief detachment of 150 men by a mixed party of Indians and Canadians. Lorimier was instrumental in negotiating with Butterfield and Sherburne an exchange, extremely favourable to the British, of the roughly 500 American prisoners. Benedict Arnold* caught up with Forster on the 26th, but his initial attack was repelled with heavy losses, and he was forestalled from a second by news of the exchange agreement and threats from Lorimier’s Indians to kill all the American prisoners. Arnold returned to Montreal with the released Americans; Forster, with Lorimier, retreated to Fort Oswegatchie. Following the arrival of reinforcements from Britain in May and June 1776 the Americans hurriedly left the colony. That fall a struggle developed for the control of Lake Champlain, and in the naval battle of Valcour Island, N.Y., on 11 October Lorimier and a party of Indians brought Arnold’s own vessel under withering fire from shore. 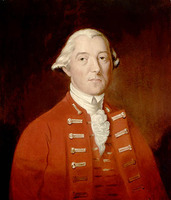 In early 1777 he conducted a mixed party to scout American activities in the area of Crown Point and Fort George (Lake George), and in June he was part of Major-General John Burgoyne*’s expedition into New York. Wounded in the leg during the catastrophic diversion to Bennington (Vt), Lorimier made it back to Saratoga (Schuylerville, N.Y.), and was then evacuated to Montreal. Lorimier’s departure having prompted the Indians from Caughnawaga to abandon Burgoyne’s expedition, he was sent at once to Caughnawaga and Fort St Johns to persuade them to return. The trip aggravated his injury and nearly resulted in amputation of his leg. Lorimier did not see action again until July 1780, when he was given carte blanche to lead a reconnaissance and raiding expedition into New York; a surprise attack on Fort Stanwix (Rome) netted 38 prisoners and 10 scalps. Shortly after his return he collapsed from exhaustion during a meeting at Quebec with the commander-in-chief and governor, Frederick Haldimand*; medical treatment almost finished him off. His participation in the war was over. In the course of his many adventures as a leader of the Indians, Lorimier had occasionally been disappointed by their seemingly erratic behaviour, but it was thanks to their aid at critical moments that he had cheated death and escaped capture. On 26 June 1783 Lorimier married Louise Schuyler. The couple settled in Caughnawaga where Lorimier had been named resident agent of the Indian Department at the commencement of the war; in 1782 the department had been reorganized and placed under the superintendence of Sir John Johnson. Disaster struck Lorimier in 1790 when Louise died at age 36. They had had six children. On 23 March 1793 he married a daughter of the seigneur Joseph Brassard* Deschenaux, Marie-Madeleine-Claire Brassard Descheneaux, who in June became a part-owner of the seigneury of Beaumont; they would have two children. From 1792 to 1796 Lorimier represented Huntingdon in the Lower Canadian House of Assembly, but he voted on only four occasions, always in support of the Canadian party [see Jean-Antoine Panet*]. After the death of his second wife in January 1800, Lorimier married Shaȣennetsi (Anne Gregory) at Caughnawaga on 27 Feb. 1801; they would have four children. On 22 Sept. 1812, following the outbreak of war with the United States, Lorimier was appointed resident captain to the Caughnawaga and other Iroquois Indians, and in October 1813, at age 69, he was present at the battle of Châteauguay [see Charles-Michel d’Irumberry de Salaberry]. 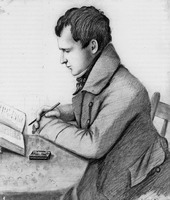 That year his eldest son, Guillaume-François, was killed at Crysler’s Farm, Upper Canada, and his second, Jean-Baptiste*, was so badly wounded at Beaver Dams (Thorold) that he never completely recovered. 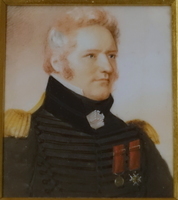 When in August 1814 the government created the Embodied Indian Warriors, consisting of four companies from villages in the Montreal area, Lorimier was appointed deputy superintendent with the rank of major effective from 25 July, and he held the position even after the corps was reduced in 1815. His last years were spent quietly as resident agent in Caughnawaga. Known as Chevalier de Lorimier since at least 1783, he may have simply appropriated the title accorded his father in 1759; it was a common practice during the French regime for younger sons of the nobility to take the title of chevalier. 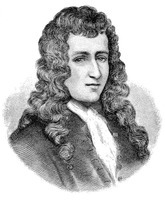 The Patriote Chevalier de Lorimier* was a grandnephew. A man of energy and endurance, Lorimier made the best of his brief hours of glory in a long career. His exploits during the American revolution and his meeting with Louise Schuyler – recorded with flair in a memoir entitled “Mes services pendant la guerre américaine” – contain the ingredients from which legends are created. 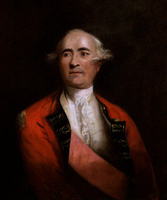 His ability to serve – at different times – the kings of France and Britain was characteristic of the élite from which he sprang, and his quiet effectiveness as resident agent to the Indians was typical of a whole group of superintendents and agents, such as Joseph-Maurice Lamothe and Dominique Ducharme*, unjustly consigned to historical obscurity. 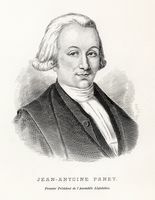 Claude-Nicolas-Guillaume de Lorimier is the author of “Mes services pendant la guerre américaine,” published in Invasion du Canada, [H.-A.-J.-B.] Verreau, edit. (Montreal, 1873), 245–98. This memoir was published in English as At war with the Americans, trans. and ed. Peter Aichinger (Victoria, B.C., n.d.). PAC, MG 11, [CO 42] Q, 112: 283–93; MG 30, D1, 19; RG 8, I (C ser. ), 1203 1/2: 102; 6886: 101; RG 10, A3, 488: 28798; 496: 31508. Le Jeune, Dictionnaire, 2: 168. Officers of British forces in Canada (Irving), 215, 217–18. Lanctot, Le Canada et la Revolution américaine, 160–61. Benjamin Sulte, Histoire de la milice canadienne française, 1760–1897 (Montreal, 1897). F.-J. Audet et Édouard Fabre Surveyer, “Les députés au premier parlement du Bas-Canada: Claude-Nicolas-Guillaume de Lorimier,” La Presse, 23 juill. 1927: 53, 60. Hare, “L’Assemblée legislative du Bas-Canada,” RHAF, 27: 372–73. Louvigny de Montigny, “Le Lorimier et le Montigny des Cèdres,” BRH, 47 (1941): 33–47. É.-Z. Massicotte, “La famille de Lorimier,” BRH, 21 (1915): 10–16, 33–45. Douglas Leighton, “LORIMIER, CLAUDE-NICOLAS-GUILLAUME DE,” in Dictionary of Canadian Biography, vol. 6, University of Toronto/Université Laval, 2003–, accessed April 20, 2019, http://www.biographi.ca/en/bio/lorimier_claude_nicolas_guillaume_de_6E.html.